The SNAPalytics platform provides low friction access to a high availability, real-time multivariate analytics solution which continuously optimizes mobile ad campaigns. Brand and direct response marketers need to deliver the right message to the best audience at the best time and place. UpSnap has developed and optimized a machine-learning data process to enable campaigns to perform at the highest levels from day one. Advertisers benefit from the billions of transactions SNAPalytics processes monthly. The campaign is being optimized immediately and adjusted accordingly using data and consumer profiles to drive the best results. UpSnap Ad Advisor empowers ad networks, ad exchanges, publishers and developers to add predictive modeling to their offerings to maximize revenue with dynamic ad serving and custom messaging. Continuous improvement for over 10 years has yielded a set of machine learning algorithms that work in concert to optimize both supply and demand. The algorithm combines user data, advertiser campaigns and current context to create a multi-level map predicting user engagement. UpSnap Ad Advisor is designed and built to deliver the best ad to the right audience in the optimal context at the right moment in time. Contact us today to learn how our algorithm works. 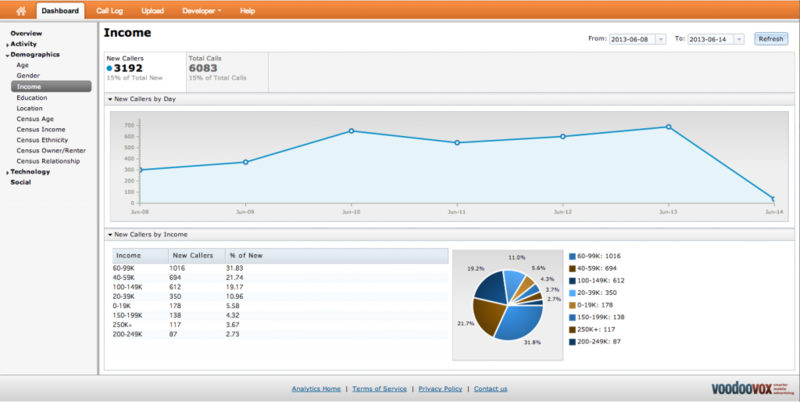 UpSnap caller analytics brings solutions to call detail records to answer the questions: who is calling (ie male/female, age, married, etc) and where are they calling from. Standard call accounting packages leave a lot on the table when it comes to data capture and analysis. With caller analytics, we enable companies to take the rich meta data associated with phone calls and create insights through real-time processing. With SNAPalytics doing all the heavy lifting, integrating with caller analytics is as easy as inputting call event data, including ANY meta information available, and reading the summarized data back out, with the possibility for thousands of combinations. UpSnap knows that if decisions can’t be made in the moment, then user and brand experience both suffer. Our priority with each piece of technology we create is to bring real-time solutions that drive results. UpSnap data scientists, digital marketing strategists and services teams work in close collaboration with customers to deliver innovative and advanced solutions to maximize the goals of each campaign. Our team is dedicated to applying our big data/big process experience to our clients needs and delivering maximum results.